The Buccola Communities are located in Costa Mesa, Orange County. They are situated in the Mesa Verde section of Costa Mesa. 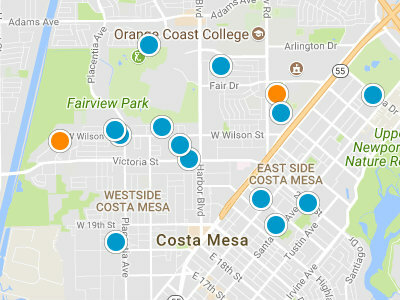 The Mesa Verde section of Costa Mesa is bordered on the north by the 405 Freeway, on the East by Harbor Blvd, on the South by Adams Blvd and Fairview Park and on the West by the Santa Ana River Trail. Unlike other areas of Costa Mesa, the Mesa Verde section was developed slightly later with greater attention to design and neighborhood lay out. Mesa Verde is considerably more thoughtfully laid out than neighboring sections of Costa Mesa. Development in the Mesa Verde area began in the late 1950’s and early 1960’s. The Buccola neighborhoods did not start developing until the 1960’s and early 1970’s. The final development within Mesa Verde was completed in 1978 along Starbird Drive in the Upper Bird Street area. This is strong family centered section of Costa Mesa with many parks and an exceptional library. Mesa Verde is also home to the Mesa Verde Country Club, which is a popular private country club in the northern section of Mesa Verde. Buccola was developed in two tracts, Buccola I and Buccola II. Both tracts are located in Mesa Verde. The homes in Buccola I were built from approximately 1968 to 1972. The homes here have been renovated, remodeled and updated. It is very common for these homes to have three car garages. Many homes in this neighborhood have private pools. The homes are approximately 2,500 square feet to 4,000 square feet. 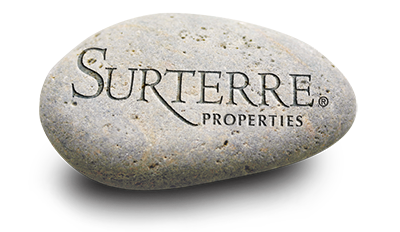 The homes in Buccola I are priced from 760,000 dollars to one million dollars. There are not any homeowners’ association fees in this community. Residents in the Buccola I neighborhood are within walking distance to the Costa Mesa Country Club, and several local parks including Tanager Park and Fairview Park. The second tract is Buccola II. Buccola II is also within Mesa Verde. This neighborhood is on the Oceanside of the freeway. Homes in the Buccola II neighborhood were built from approximately 1970 to 1972. These range in size from 2,400 square feet to 3,400 square feet. Many homes have been remodeled and upgraded. Most homes in this neighborhood feature three car garages and pools. The homes in this area are priced from 900,000 dollars to one million dollars. There are not any homeowner association fees in Buccola II. Students in the Buccola II neighborhood attend schools in the distinguished Newport Mesa Unified School District. Specifically Adams Elementary School, Tewinkle Middle School and Estancia High School.